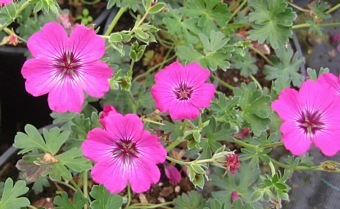 A new variety having pink flowers, veined red with a dark eye above a mound of grey green leaves, ht 10-15cm. 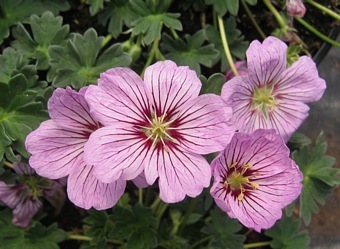 For sun or light shade.<br> This plant is protected by Plant Breeders' rights and cannot be propagated without a licence. 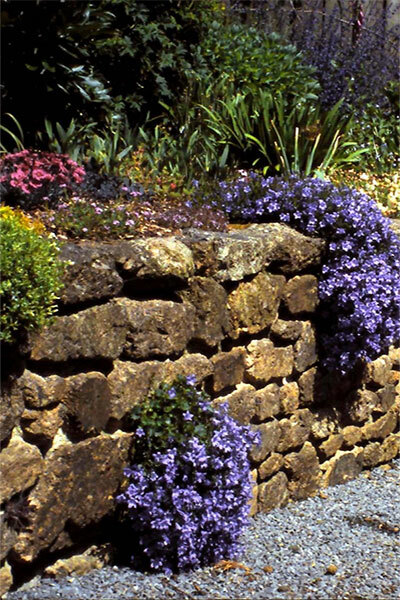 PBR EU 17597. 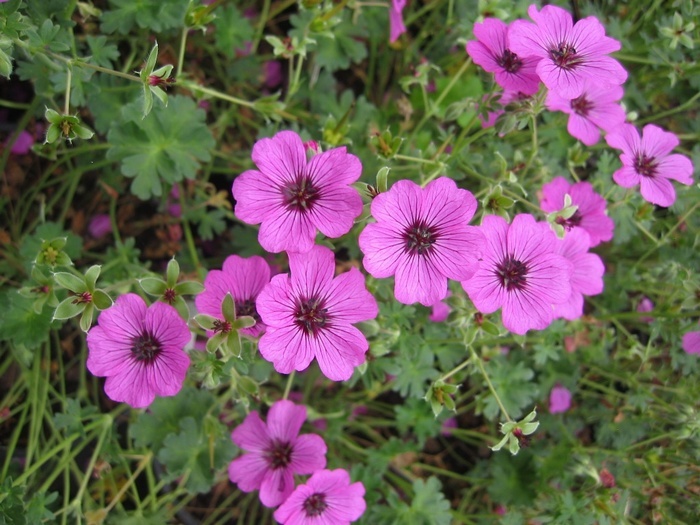 A new variety having pink flowers, veined red with a dark eye above a mound of grey green leaves, ht 10-15cm. For sun or light shade. This plant is protected by Plant Breeders' rights and cannot be propagated without a licence. PBR EU 17597.